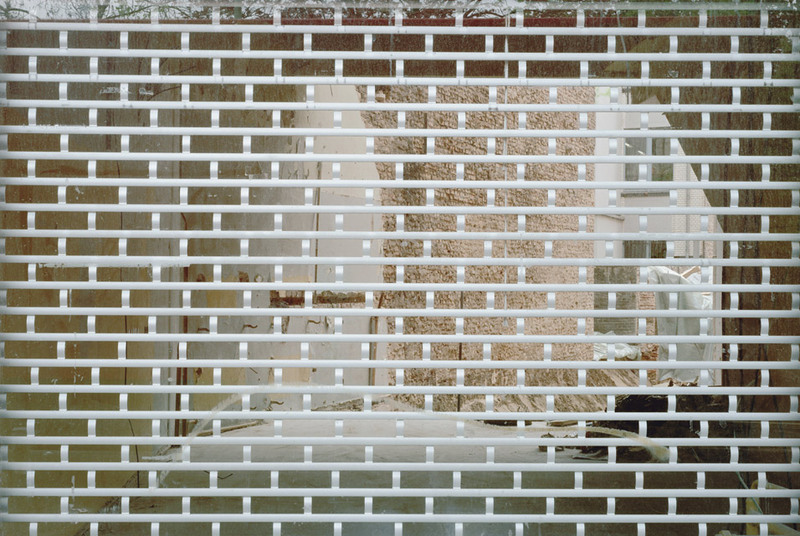 Sabine Hornig, Window with No Back Wall, 2006. 120 x 140 x 3 cm (glass), © VG Bild-Kunst, Bonn 2011. MUNICH.- Sabine Hornig, born in 1964, is one of the most internationally celebrated German artists of her generation. Her photographic and sculptural work, created at the crossroads between photography, sculpture and site-specific installation, is both artistically independent and artistically unconventional at once and makes a vital contribution to our understanding of photography as a contemporary art form. At the heart of the show, which has been created in close collaboration with the artist herself, is the Windows work group, begun in 2001 and which now comprises some fifty large-scale photographs, several of which featured in a show at the museum of Modern Art in New York in 2003. The artist constantly re-examines the subtle relationship between picture and space, between image and reality, as seen in the context of the windows of vacated shopfronts in the Berlin district of Mitte. In a series of photographs blown up to scale, Hornig presents the windows as pictures that unite several perspectives at once on their two-dimensional surface: the view into the interior, the reflection of the world outside on the window pane and the window pane itself, complete with visible marks. In a precise, exacting visual language, Hornig unites this multi-layered visual fabric composed of surface views, deeper views and reflections, of the before and after, and uses the example of the urban sphere and how we perceive it to generate new ideas relating to the tensions between pictorial and real space that challenge the viewers prying gaze. The exhibition is enhanced by an intervention in the Alte Pinakothek, which sees several of Sabine Hornigs photographs juxtaposed with Dutch genre paintings from the 17th century. Windows and frames, partially obstructed views, the fabric of space, lighting, still life and vanitas symbols are all common points where the photographic works enter into a charged dialogue with the paintings from an older period in art history. Accompanying the exhibition, a monograph (available in German/English) is due for release by the Verlag für moderne Kunst, Nuremberg, including texts by Hans Belting, Inka Graeve Ingelmann and an interview with the artist conducted by Sophie Tottie. In 2005 Sabine Hornig also completed a long-term, large-scale installation for the primary school at Pfeuferstraße 1, in the Munich district of Sendling, entitled The Glass Façade Project. World record for a De Chirico "Muse inquietanti" series, brilliant results for Morandi, Savinio and Severini.